Lee Jae-yong, de facto leader of Samsung Group, appeared before special prosecutors for the second straight day Sunday to undergo questioning over an influence-peddling scandal involving President Park Geun-hye. 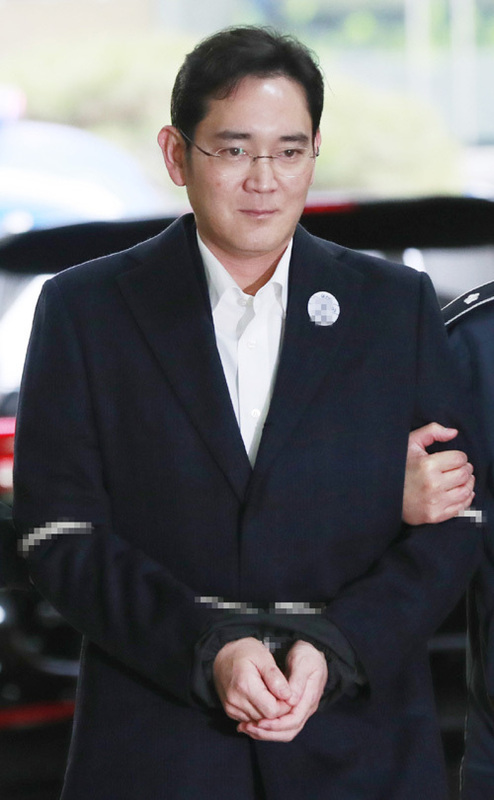 Lee, vice chairman of Samsung Electronics Co., appeared at the prosecution team's office in southern Seoul where he is to be questioned over allegations that he received business favors by granting a large amount of bribes to the president's longtime friend. This marked the second day that Lee, Samsung's heir apparent, came to the prosecution office to undergo an interrogation, following an eight-hour investigation Saturday. He was formally arrested Friday on charges of bribery in connection with the influence-peddling scandal that led the parliament to impeach President Park on Dec. 9. Lee arrived at the prosecution office at around 9:40 a.m. and went straight to the prosecution office without answering reporters' questions. The second day of the investigation will continue to focus on the allegations that Lee gave or promised some 43 billion won ($36.3 million) worth of bribes to the president's jailed friend Choi Soon-sil in return for the government's backing of a merger of two Samsung affiliates in 2015. The merger was seen as critical for the smooth management succession of the group from ailing Samsung Electronics Chairman Lee Kun-hee to his only son Jae-yong. Lee was said to have denied all the allegations earlier, adding that the money has nothing to do with getting favors and that he made the contributions due to pressure from the president.